Years ago I found this old Gibson LGO in the trash out side the Jersey City brownstone I lived in. 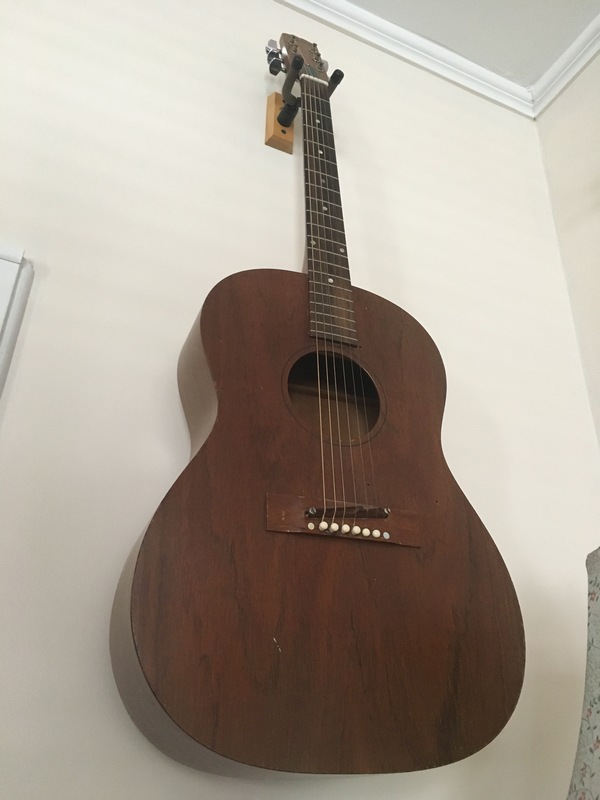 It had strings in the wrong spot and the neck was pulling from the body. Last year I brought to Boston guitar repair guru, Steve Morrill on Mass Ave near Berkeley. He fixed it up nice with a reattached neck and new bridge! Time to write some songs?